Objective: To assess sub-clinical cognitive dysfunctions in stable chronic obstructive pulmonary disease (COPD) patients having no hypoxemia vs. age-matched healthy volunteers using (i) an electrophysiological test: Auditory event related potential, P300 test and (ii) a questionnaire tool: Mini-mental state examination (MMSE) questionnaire. Materials and Methods: Eighty male subjects were included: 40 stable COPD patients (smoking history >20 pack years) and 40 healthy volunteers (HVs). Age, duration of illness, smoking pack years, and spirometric indices were assessed. MMSE scores were evaluated in these groups. Latency of P300 wave and amplitude of P300 wave were studied in both groups to detect P300 abnormalities in COPD group. Correlations of P300 abnormalities with patient characteristic parameters and MMSE scores were assessed. In addition, individual COPD patients having significant cognitive dysfunctions beyond cut-off value of 99 th percentile of HVs were analyzed. Results: We observed significantly prolonged P300 latency ( P < 0.001) and decreased P300 amplitude ( P < 0.001) in COPD group. MMSE scores were significantly reduced in COPD group ( P < 0.001). 10/40 COPD patients had prolongation of P300 latency, and 27/40 COPD patients had reduced MMSE scores beyond 99 th percentile of HV. However, we did not observe any statistically significant correlation between P300 abnormalities and patients' characteristics or MMSE scores ( P > 0.05 for all). Conclusions: Our study explores cognitive dysfunctions in stable COPD patients with no hypoxemia. This study highlights the relative importance of using MMSE and P300. Cognitive dysfunctions were detected both by MMSE and P300; however, MMSE abnormalities were more frequent compared to P300 abnormalities (27/40 vs. 10/40) in COPD patients. Introduction: Since determining of prognosis and treatment method is related to accurate evaluation of TNM staging of non small cell lung cancer (NSCLC), we aimed to evaluate the role of Video-assisted thoracic surgery (VATS) in staging of NSCLC. Materials and Methods: This study was performed on 40 patients with NSCLC who had undergone preoperative staging and were candidate for curative surgery between 2008-2010. They underwent VATS immediately before the surgery. After performing VATS, the patients underwent thoracotomy by posterolateral incision unless any criteria of inoperability were present. Diagnostic accuracy of VATS for confirmation or modification of preoperative staging was evaluated. Results: M/F ratio was 21/19. Mean age of the patients was 57.2 ± 16.64 yrs. The most common symptom was coughing in 90% of patients. 72.5% of the patients had endobronchial mass and only for 27.5% tissue sample was obtained by transthoracic needle biopsy (TTNB) method. After performing VATS, 6 patients were excluded from surgery (3 cases (7.5%) due to seeding plural metastasis, 2 cases (5%) due to N2 involvement and one case (2.5%) due to satellite lesion in other lobes). Other 34 patients underwent surgery. Surgical resection was performed successfully in 31 cases (77.5%), but in 3 cases (7.5%) due to adhesion to hillum of the lung tumor was not resectable. According to the above results, VATS diagnosing accuracy was 92.5%. Conclusion: VATS can help to determine TNM staging and prevent unnecessary thoracotomy in some patients and we recommend this method for accurate staging of NSCLC. Background: Obesity is now a global epidemic. Obese people are at higher risk of snoring. Weight reduction could influence the prevalence of snoring. Present study tried to find out, whether weight reduction is of benefit in all adult snorers. Materials and Methods: It is a cross sectional study, on 349 subjects (196 males and 153 females). They and their spouses were asked for snoring habits. Their neck circumference, height and weight was measured and Body mass index (BMI) was calculated, and they were classified into low normal, high normal, pre-obese and obese BMI groups. Prevalence rates of snoring in different groups were compared, to find out any statistically significant difference, between them. Results: Statistically significant difference, in prevalence rates of snoring was found, when obese and pre-obese group were compared with normal BMI group, separately. No significant difference was found in prevalence rates, when comparison was made between obese and pre-obese group. Difference in prevalence of snoring, was also not significant, when comparison was made between low normal and high normal BMI groups. Neck circumference of snorers was significantly more than the neck circumference of non-snorers in all BMI groups. Gender wise difference, in prevalence of snoring was also not significant. Conclusion : Body mass index target needs to be set at 25 kg/m 2 , in weight reduction programmes, to achieve clinically relevant response in a snorer. There is no need to put extra emphasis, on further reduction of BMI. Weight reduction, is not helpful in all adult snorers, especially those with normal BMI, where other causes of snoring, like fat around upper airways, need to be considered. Background: To quantify the impact of bone metastasis and skeletal-related events (SREs) on mortality among older patients with lung cancer. Materials and Methods: Using the linked Surveillance, Epidemiology and End Results-Medicare database, we identified patients aged 65 years or older diagnosed with lung cancer between July 1, 1999 and December 31, 2005 and followed them to determine deaths through December 31, 2006. We classified patients as having possible bone metastasis and SREs using discharge diagnoses from inpatient claims and diagnoses paired with procedure codes from outpatient claims. We used Cox regression to estimate mortality hazards ratios (HR) among patients with bone metastasis with or without SRE, compared to patients without bone metastasis. 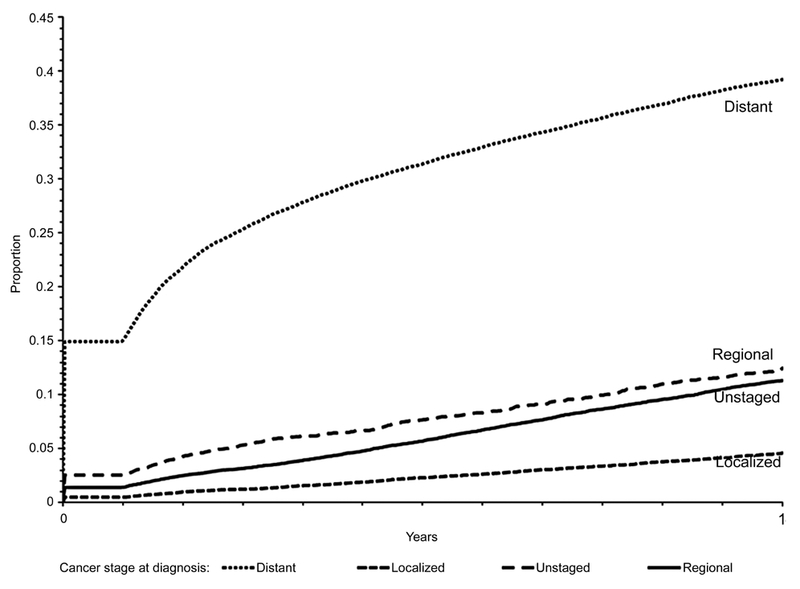 Results: Among 126,123 patients with lung cancer having a median follow-up of 0.6 years, 24,820 (19.8%) had bone metastasis either at lung cancer diagnosis (9,523, 7.6%) or during follow-up (15,297, 12.1%). SREs occurred in 12,665 (51%) patients with bone metastasis. The HR for death was 2.4 (95% CI = 2.4-2.5) both for patients with bone metastasis but no SRE and for patients with bone metastasis plus SRE, compared to patients without bone metastasis. Conclusions: Having a bone metastasis, as indicated by Medicare claims, was associated with mortality among patients with lung cancer. We found no difference in mortality between patients with bone metastasis complicated by SRE and patients with bone metastasis but without SRE. 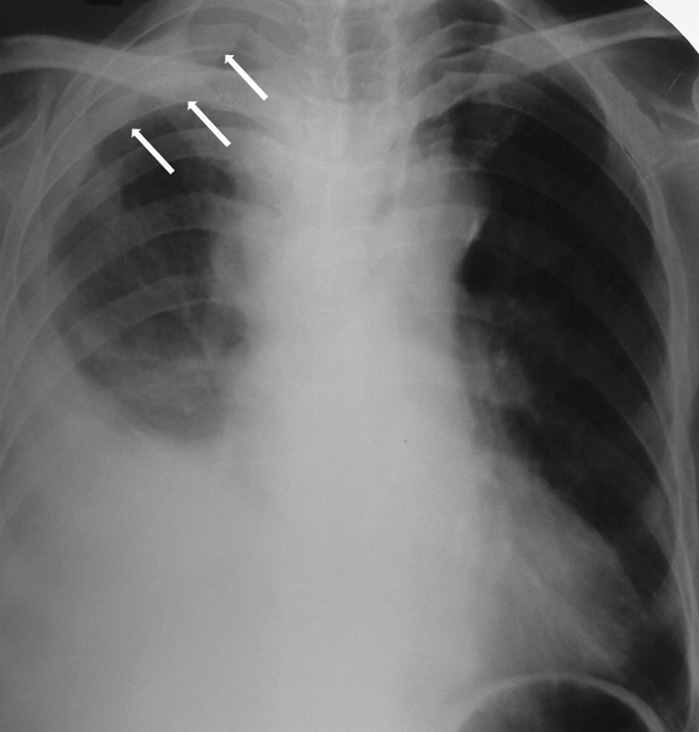 Context: Non-resolving pneumonia is often an area of concern for pulmonologists. Fiber optic bronchoscopy (FOB) may have a special role in etiologic evaluation of non-resolving pneumonias. There is paucity of recent studies in this field. 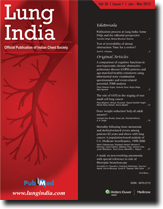 Aims: This study aimed to assess the patients of non-resolving or slowly resolving pneumonia with special emphasis on efficacy of FOB and computed tomography (CT)-guided fine needle aspiration cytology (FNAC) in diagnosis. Settings and Design: Prospective, observational study conducted in a tertiary care institute over a period of one year. 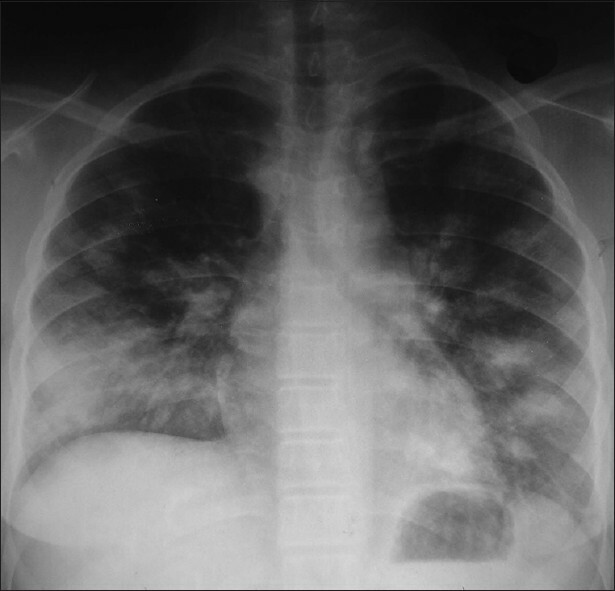 Materials and Methods: After fulfilling the definition of non-resolving pneumonia by clinical and radiological parameters, patients were evaluated by FOB with relevant microbiological, cytological, histopathological investigations and CT scan of thorax. CT-guided FNAC was done in selected cases where FOB was inconclusive. Results: Sixty patients were enrolled in the study. Mean age was 51.33 ± 1.71 years with male to female ratio 2:1. Right lung was more commonly involved (65%), and right upper lobe was the commonest site (25%). Pyogenic infection was the commonest etiology (53.3%), bronchogenic carcinoma and tuberculosis accounted for 26.7% and 16.7% cases, respectively. 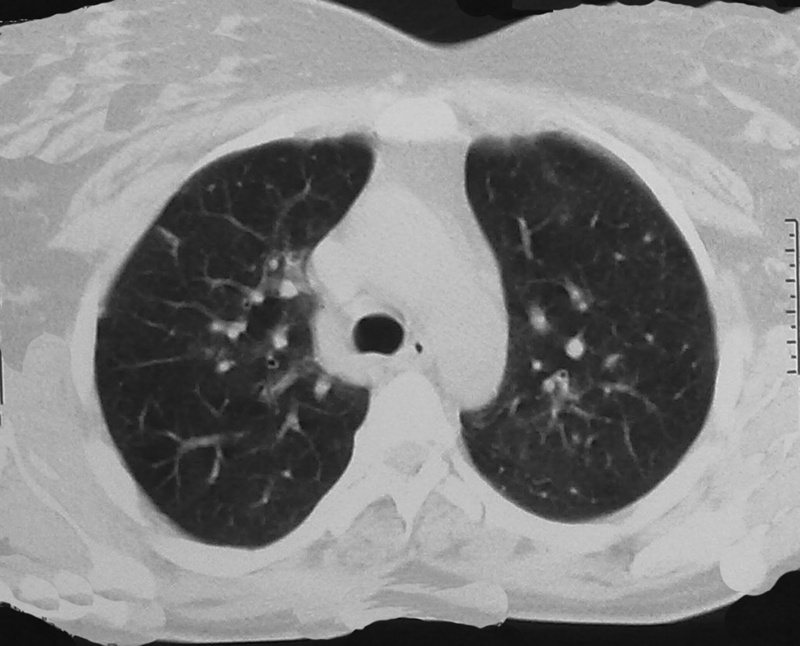 Both, FOB (85.7%) and CT-guided FNAC (91.67%) were very useful for etiological diagnosis of non-resolving pneumonia. Both the procedures were safe, and no major complication was observed. Conclusions: Because of the high yield of FOB, it is very useful and safe diagnostic tool for evaluation of non-resolving pneumonia. CT-guided FNAC also gives good yield when cases are properly selected. Context: Exposure to various types of fumes and gases are very common in Jewelery industries. No Report is available regarding the effects of those fumes and gases on the respiratory functions of the goldsmiths. Due to lack of proper monitoring of the workplace environments in these unorganized sectors, workers get very much affected by the occupational exposures to those irritants. Aims: The present study aimed to investigate whether the occupational exposures to fumes and gases might alter the lung functions of the goldsmiths. Materials and Methods: A total of 118 goldsmiths and 66 unexposed control subjects were taken randomly for the study. The goldsmiths were further classified in 3 groups according to duration (year) of exposures in the work environment, ETA 1 (less than 5 years), ETA 2 (more than 5 years but less than 10 years), and ETA 3 (more than 10 years). 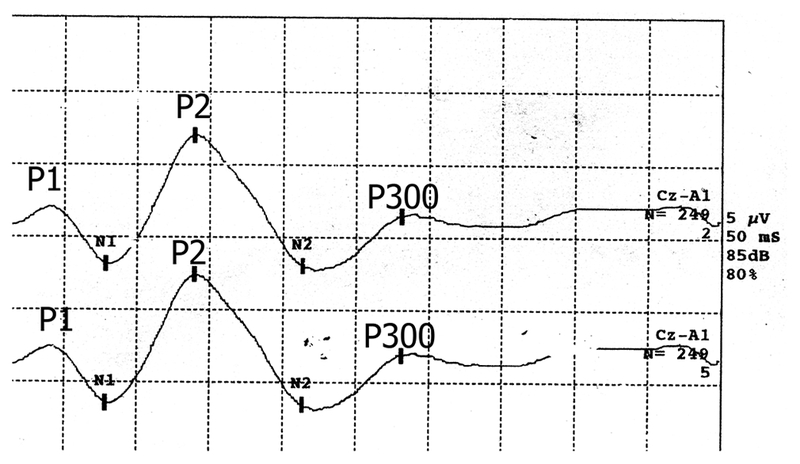 Peak expiratory flow rates (PEFR), forced vital capacity (FVC), and forced expiratory flow rates of different intervals (FEF 25% , FEF 50% , FEF 75% , FEF 25-75% ) were measured using computerized Spirometer (Maestros Mediline, India). The statistical analyses were carried out using Minitab software version 3. Results: Lung functions of the goldsmiths significantly (P < 0.01) decreased from that of the control group. Inter-group comparison also showed the deteriorations of lung functions was associated with exposure time, and more exposed workers had significantly less (P < 0.01) efficiencies of lung functions. Conclusions: Workplace fumes and gases were responsible for deterioration of the lung function status of the goldsmiths. Asthma is a chronic disorder affecting millions of people worldwide. The prevalence of asthma is around 300 million and is expected to increase another 100 million by 2025. Obesity, on the other hand, also affects a large number of individuals. Overweight in adults is defined when body mass index (BMI) is between 25 to 30 kg/m 2 and obesity when the BMI >30 kg/m 2 . It has been a matter of interest for researchers to find a relation between these two conditions. This knowledge will provide a new insight into the management of both conditions. At present, obese asthma patients may be considered a special category and it is important to assess the impact of management of obesity on asthma symptoms. Fat embolism syndrome is an often overlooked cause of breathlessness in trauma wards. Presenting in a wide range of clinical signs of varying severity, fat embolism is usually diagnosed by a physician who keeps a high degree of suspicion. The clinical background, chronology of symptoms and corroborative laboratory findings are instrumental in a diagnosis of fat embolism syndrome. There are a few diagnostic criteria which are helpful in making a diagnosis of fat embolism syndrome. Management is mainly prevention of fat embolism syndrome, and organ supportive care. Except in fulminant fat embolism syndrome, the prognosis is usually good. Tuberculous involvement of the pleura usually presents as pleural effusion, empyema or pleural thickening. 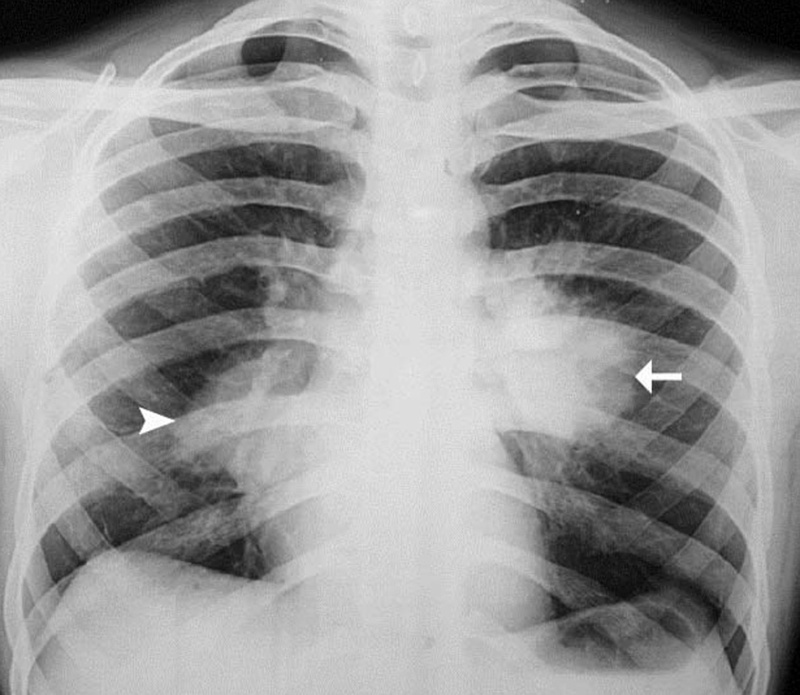 Pleural tuberculosis presenting with multiple masses without parenchymal involvement or lymphadenopathy has been reported rarely in the English literature. We report a case of a 68-year-old male with unilateral pleural tuberculosis presenting as multiple different sized nodular masses evident on computed tomography (CT) of the chest with a large hemorrhagic pleural effusion, which initially raised a possibility of mesothelioma. Pleuroscopy also revealed multiple pleural masses. Pathological examination of the biopsy specimen showed multiple epitheloid cell granulomas confirming the diagnosis. 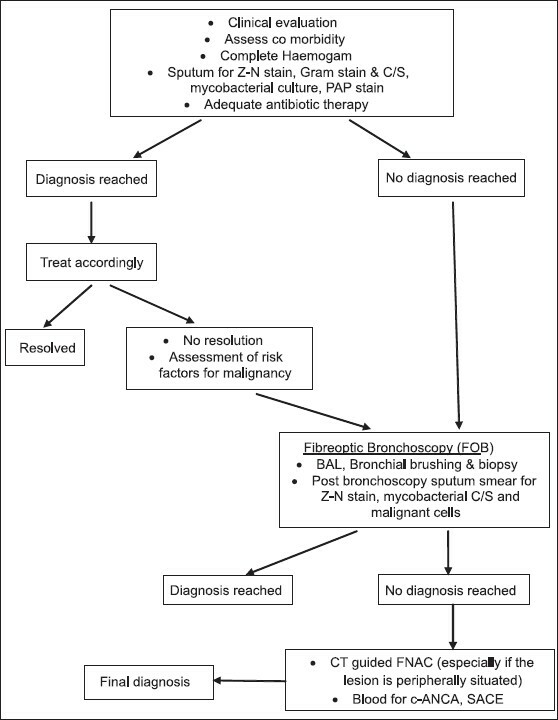 An endobronchial leiomyoma is a rare tumor of the bronchial tree. Very few cases have been reported in literature. Leiomyomas account for less than 2% of all benign lung tumors. Only one third is endobronchial in location, usually presenting as primary solitary lesions and airway obstruction findings. Literature on primary endobronchial leiomyomas is therefore scarce, with a few more than 100 cases being reported. These tumors arise from the smooth muscle of the bronchial tree. 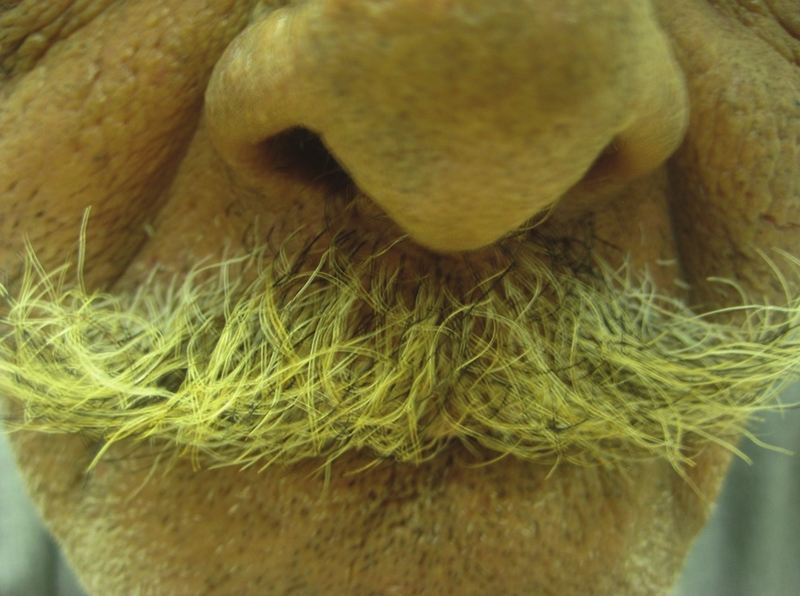 Symptomatology is based on the degree of endoluminal bronchial obstruction and surgical resection has generally been the mainstay of treatment. We describe a case of endobronchial leiomyoma in a 42 year old female. A diagnosis of Primary endobronchial leiomyoma was made on the basis of histopathology and immunohistochemistry. Rarity of this tumor in the bronchial tree with coexisting interstitial peumonitis urges us to report this case. Drug-induced flu-like syndrome is very rare. It is mainly produced by rifampicin. We report a case of pulmonary tuberculosis (PTB) that developed isoniazid-induced flu-like syndrome, but could be cured with a modified regimen replacing isoniazid with levofloxacin. A 10-year-old girl with PTB was treated with isoniazid (H), rifampicin (R), ethambutol (E), and pyrazinamide (Z). She developed features of flu from the sixth day. Symptoms recurred everyday within 1 h of drug ingestion and subsided automatically by next 12 h. After admission, HREZ were continued. She developed symptoms of flu after 1 h of drug ingestion. Antitubercular therapy (ATT) was stopped and symptoms subsided automatically. Individual drug was started one by one after three days. Severe symptoms of flu developed after taking isoniazid, while other drugs were tolerated well. Levofloxacin was used as an alternative to isoniazid. She was cured after 6 months of chemotherapy. Isoniazid can possibly cause flu-like syndrome and the treating physician should be aware of this possible side effect when using ATT. Covered self expandable metallic airway stents (SEMS) have been used for benign tracheal stenosis, post intubation tracheal stenosis, tracheal burn or trauma, tracheo-broncho-malacia, and extrinsic compression of trachea. Their placement is considered to be permanent, with open surgery the only way to remove the stent, though there are few cases reports of their removal with the bronchoscope, but the complications after their removal are very high. 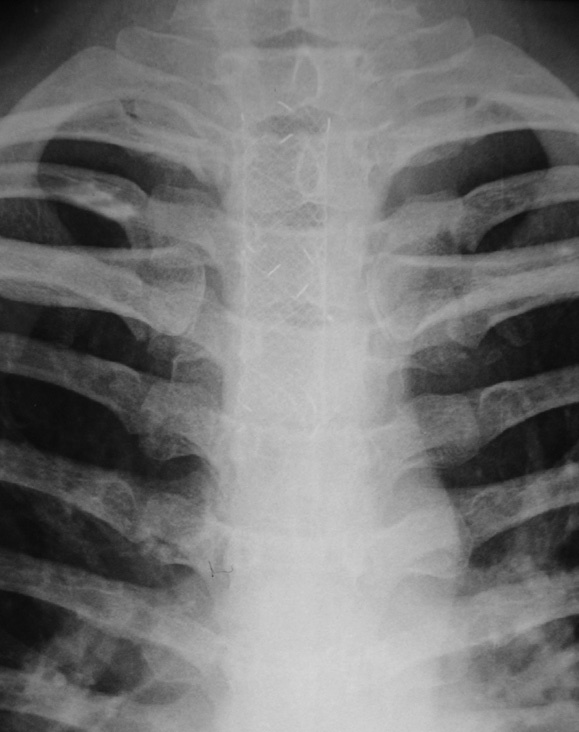 In our patient, one and a half years after placement of SEMS, she developed cough with dyspnoea, video bronchoscopy showed stenosis above the level of stent with granulation tissue inside the stent, stent fracture in lower part and stent migration to right main bronchus, thus she had all conceivable complications of stent placement. The stent was removed with the help of rigid bronchoscope under general anaesthesia. She was discharged the following day. The case is being reported because it was unique in having all the possible complications of stent placement, and rare as we could take out the stent in Toto. Thirdly, the stent could be removed without any complication. Scenario such as uptake of Fluoro-deoxyglucose (FDG) with no corresponding abnormality on computed tomography (CT) is encountered in case of brown fat uptake. However, it is rarely encountered in the lung parenchyma. 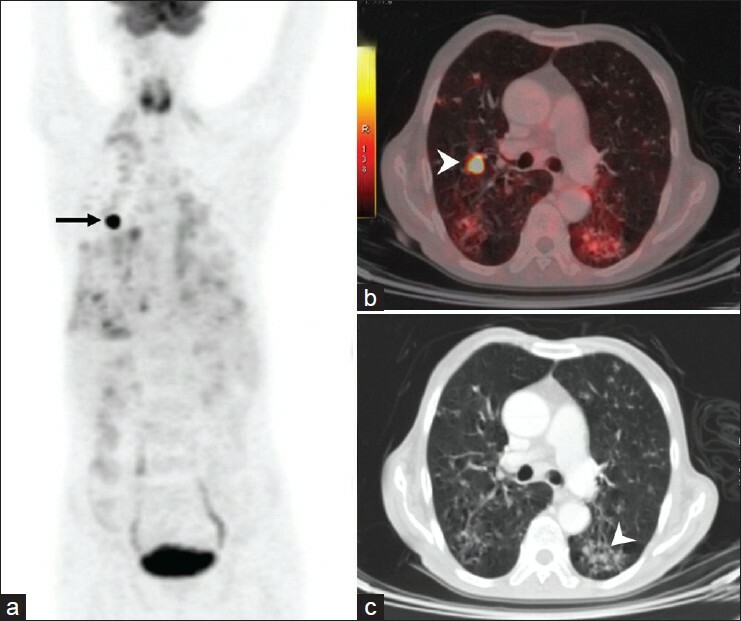 We report one such case of a focal FDG uptake in the lung parenchyma with no corresponding CT abnormality, in a treated case of hypopharyngeal cancer. A case of bilateral eosinophilic pleural effusion with coincidental intestinal infestation of giardia lamblia is being reported. 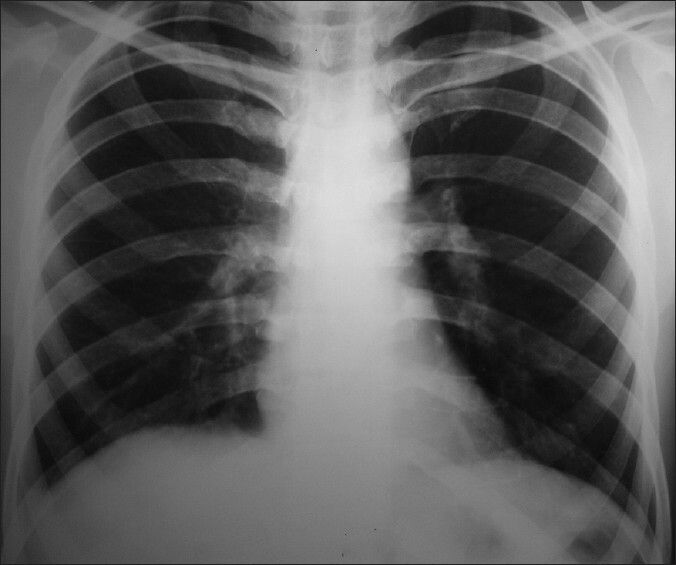 After reviewing the possible causes of this type of pleural effusion, no clinical or laboratory data were obtained which could explain this condition except giardiasis. Moreover the clearance of pleural effusion with the treatment of giardia with metronidazole suggests giardia as the probable cause of bilateral eosinophilic pleural effusion.